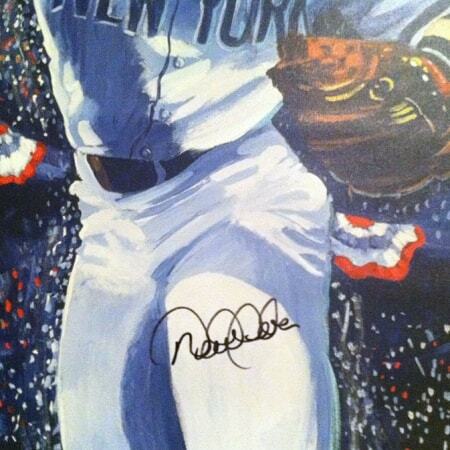 Complete with (COA) Certificate of Authenticity. 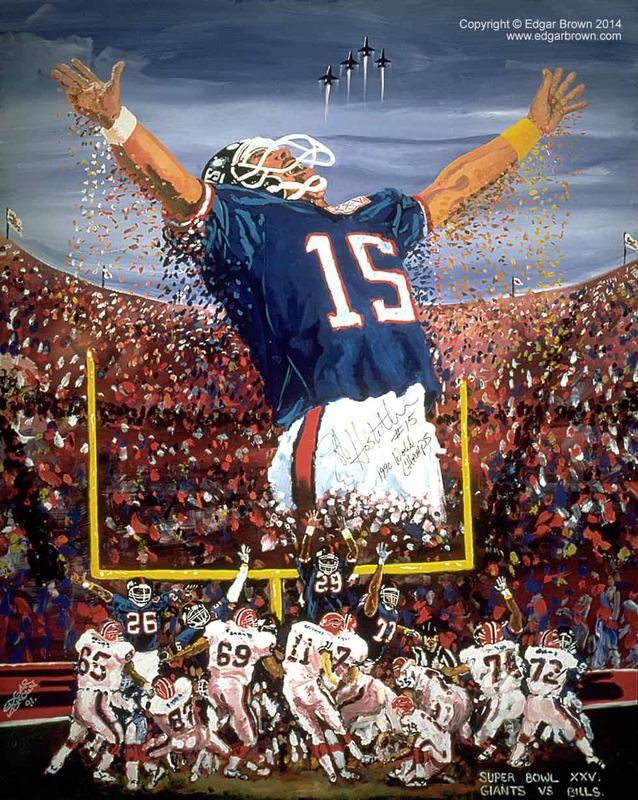 Original painting inspired by Super Bowl XXV – The NFC Champion New York Giants won their second Super Bowl with a 20 – 19 victory of the Buffalo Bills. 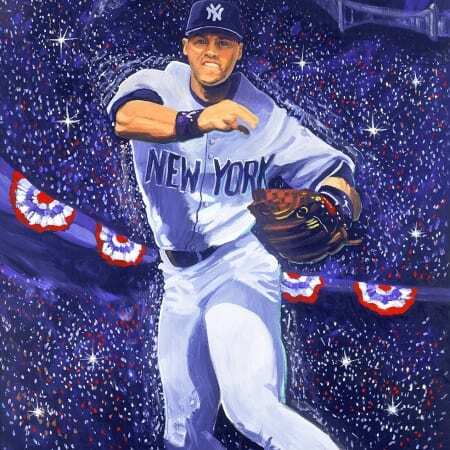 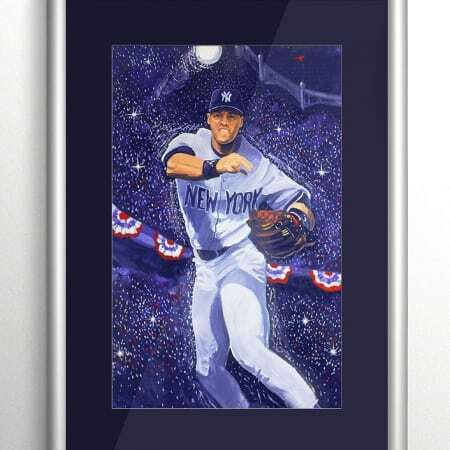 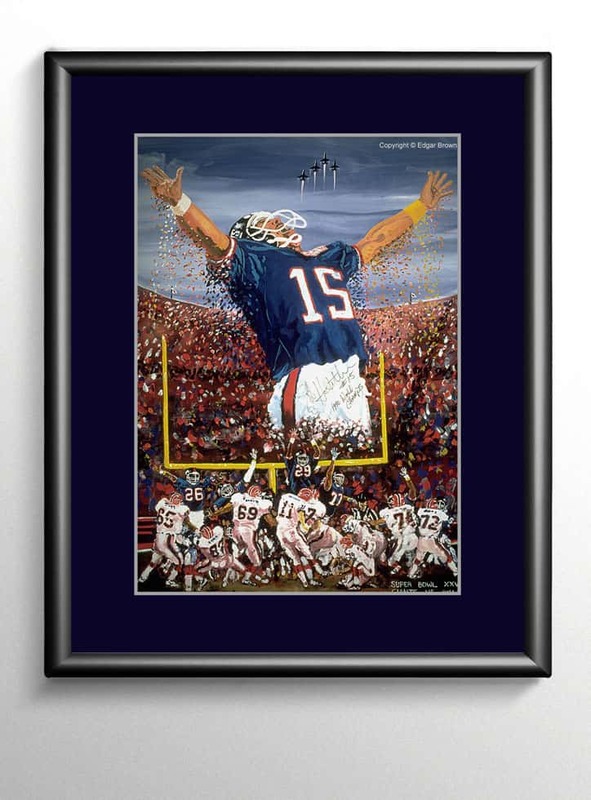 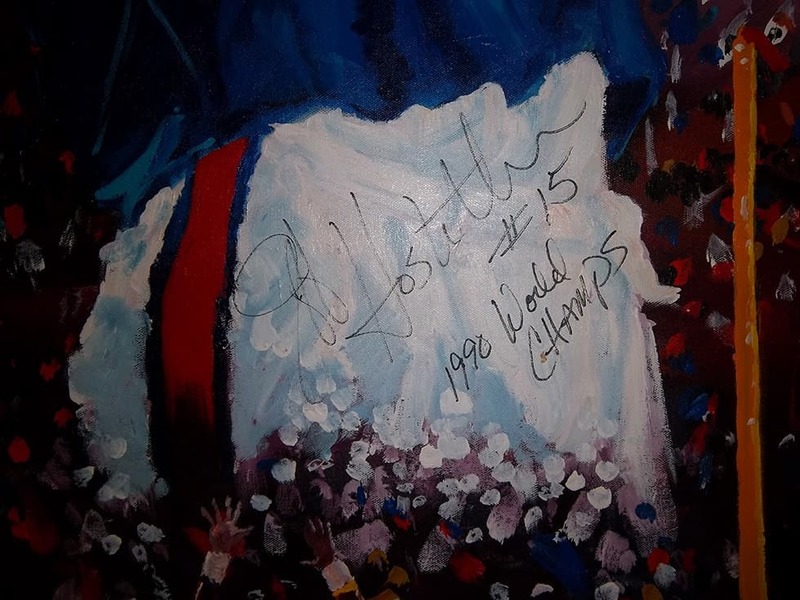 Re-live one of the greatest Super Bowls ever played with this original sports painting. 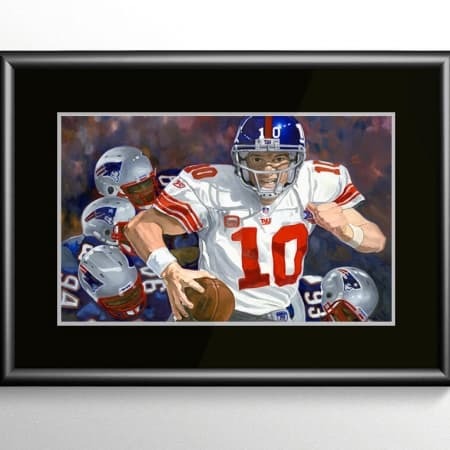 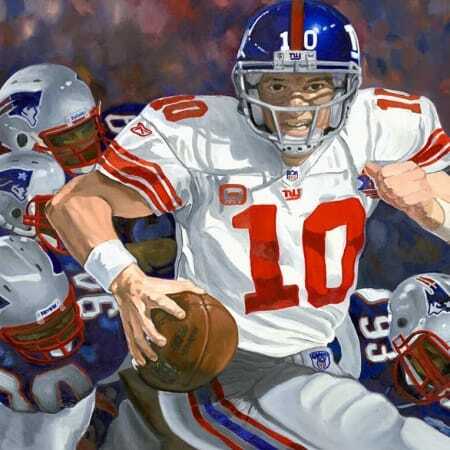 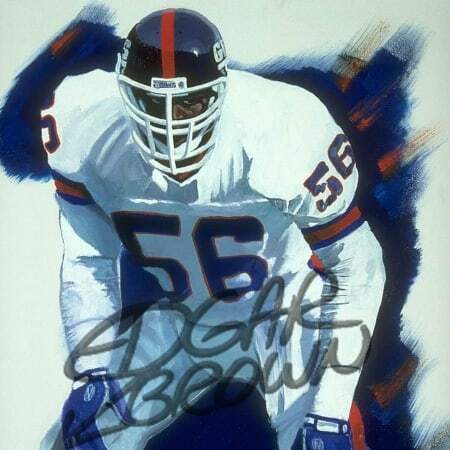 Sports Artist Edgar Brown truly captures the emotions of the Giants and their fans with this Super Bowl Masterpiece. 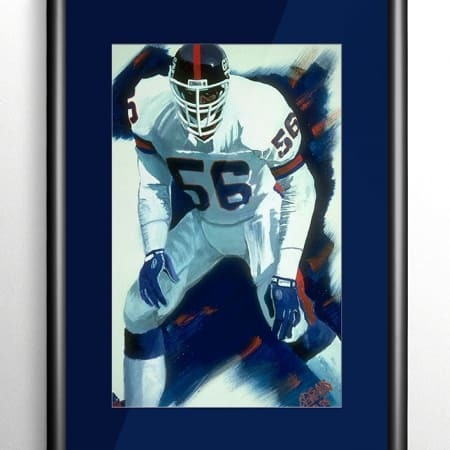 This painting was published as a limited edition fine art canvas print officially licensed by the NFL and is one of the Deacon Jones Collectible Fine Art Prints.